In a previous article, LMS Must-Have #3: Strong Analytics and Reporting, I argued that big data can help leverage better success in eLearning if you pay attention to particular metrics for both the learning side and the administrative side of your LMS. 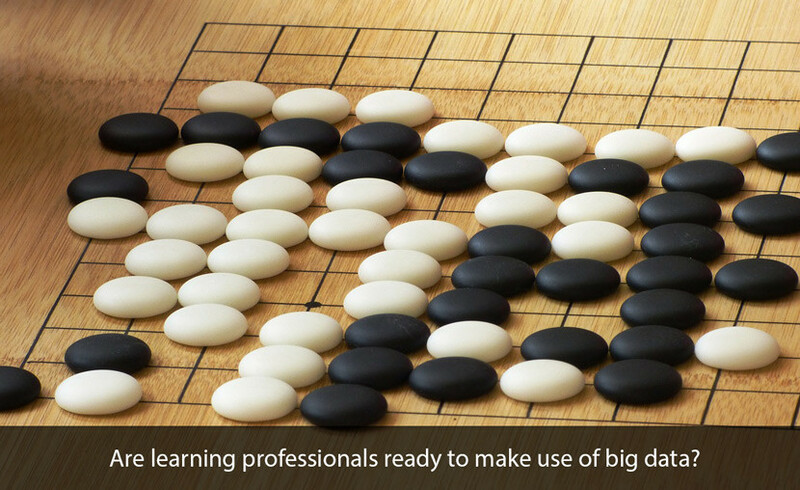 But are learning professionals ready to make use of big data? In The Importance of Big Data: A Definition, Gartner research vice president Douglas Laney defines big data as “high volume, high velocity, and/or high variety information assets that require new forms of processing to enable enhanced decision making, insight discovery, and process optimization.” As I mentioned in my previous article, big data is useless to learning, training, and development efforts unless it is specifically applied to improving those efforts. Establishing a Data-Oriented Culture. A marriage between big data and learning at your organization begins with adopting a more data-oriented, analytical mindset when it comes to learning and training efforts. That kind of openness to the power of data will get you thinking in the right direction, asking good questions, and creating lasting solutions. Assess Analytical Capabilities. You need to get some baseline data on the analytical capabilities in your learning department. It’s also worth finding out if this expertise exists in other departments of your organization. Enhance Analytical Capabilities. Once you have an idea of where things stand in your learning department, it’s time to do the training and development that will get them where you need them to be. This needs to be more than specific data analysis tools and techniques. There must be a strong focus on how to utilize data for improved decision-making. If this expertise already exists in other departments of your organization, see if they can help with training and development. You might need to hire some new data analysts, or make sure your learning department has consistent access to them for their purposes. If your organization is new at all of this, it’s worth calling in some professional help when designing your first few big data in learning initiatives. Technological Infrastructure. I’ve already highlighted that big data means high volume, velocity and variety. In addition to the human expertise, you also need the right technology to leverage big data into better learning. The systems you have in place may not be up to the task. You need to have an idea of what you want to know in order to ascertain whether or not you have the right technologies in place. The right technology will be the one that not only gives you what you need, but does so in a way that ensures the security and integrity of the data. Purpose-Driven Big Data. As just mentioned above, your efforts at big data must have a clear purpose. This kind of clarity flows best when the time is taken to align learning strategy with business strategy. When you do that, then big data in learning will be more likely to focus on an important business question that needs to be addressed. Big data is here to stay. It’s now making its way solidly into the learning environment of 21st century organizations, and rightfully so. The rich opportunities within big data for bettering your learning, training, and development efforts are ignored only at your own peril. Now is the time to lay the solid foundation upon which you can leverage big data for better learning.